Corporate social responsibility is everywhere. But we all know that pretty words aren’t anything if they are not put into action. This is a true story about action. It’s called Nokian Neulomo. It all started when Nanso, a clothing company founded in 1921, announced that it had to shut down its factory at a traditional industry city called Nokia. An idea emerged. A huge idea. A bit crazy idea. An utopic idea maybe. How about buying the factory? How about being a centre for innovations and research in the textile industry? There were two clear reasons. Firstly, garment manufacturing in Europe is valued more and more all the time. Unfortunately, there are only a few factories that produce quality stuff. And the ones that make quality are busy with orders. Secondly, nowadays consumers, in turn, appreciate domestic products and they also search for ecological and ethical options. This applies not only to food but also to textiles and clothes. Due to this Nokian Neulomo was born. The idea, no matter how crazy or utopic it first sounded, started to live when right people met each other. The idea was spiced up with open-minded thinking, huge courage and strong willpower of keeping the factory rolling. In the end five people founded Neulomo. Now if this isn’t an action of responsibility, what is? Right? The vision of these passionate people is to maintain the textile industry’s jobs and solid know-how, built decades ago, in Finland. Actually, they want to bring it back to Finland from other countries. 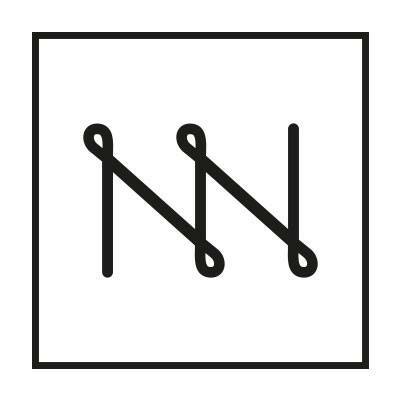 In addition, Neulomo responds to the wishes of businesses and people to produce, develop and buy beautiful, sustainable and responsible fashion. The first product of Nokian Neulomo was Papu’s Kanto-dress. Kuva: Hanna-Riikka Heikkilä. 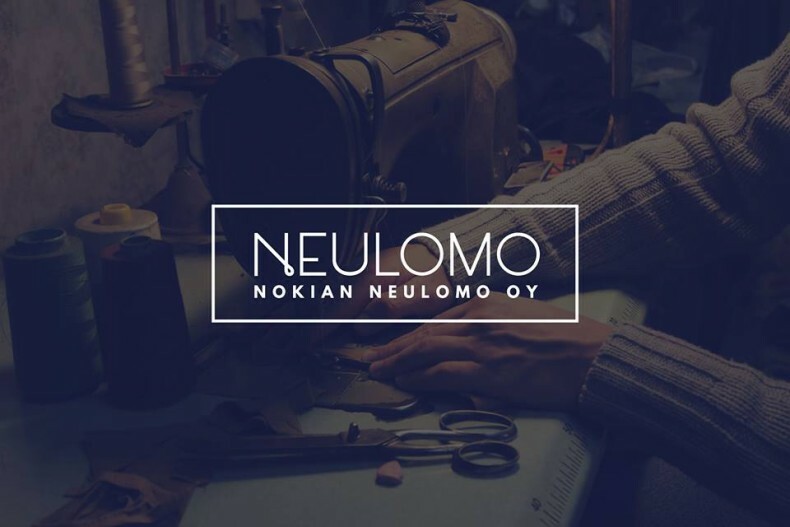 Neulomo produces jersey and clothes for others. The company’s selling points are local production and product safety, the fact that you can actually have a transparent supply chain! Which is significant as said before when talking about #whomademyclothes. In addition, when ordering from Neulomo, you can be sure that quality, ecological and ethical viewpoints are taken into consideration. A lot of interest among consumers can be seen! That was proved in one hour and a half when Papu’s Kanto-dress was on pre-sale and it was sold out. Now a second presale is on and over 2000 orders have already been made. WAU! The first presale of Kanto-dresses was sold out! 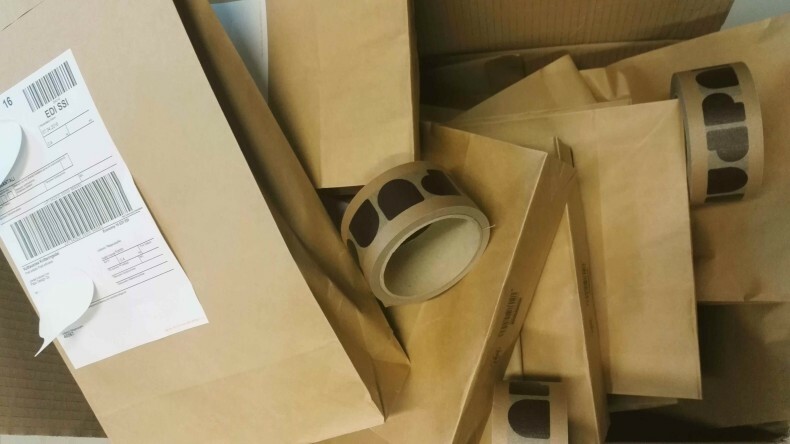 Here Papu is packing the orders and more is about to come – the second presale just crossed the line of 2000 dresses! 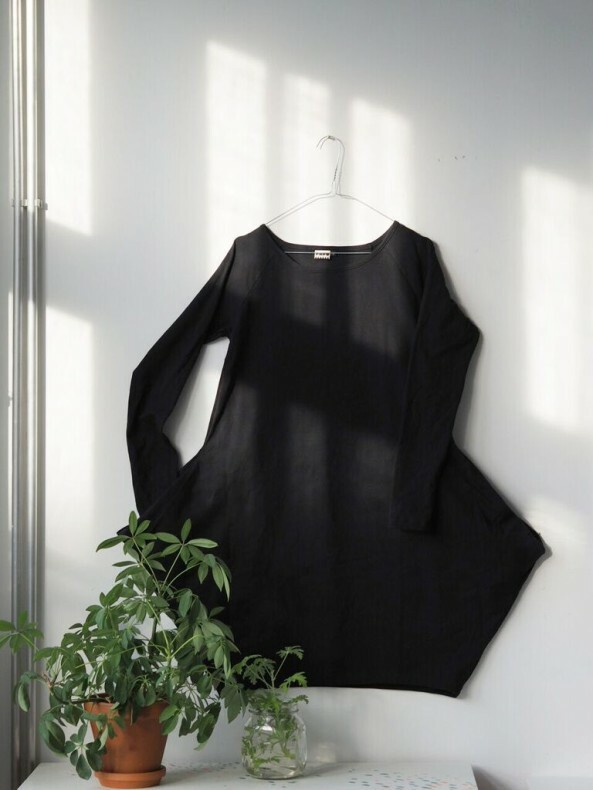 Companies such as Varusteleka, Uhana Design and TAUKOdesign are also producing clothes at Neulomo during spring. But that’s not all! As said before, Neulomo has other plans too in the field of research and innovations. They are interested in taking part to research projects such as Ioncell and Spinnova, both aim to produce fabric from wood. In short, Neulomo wants to build a framework for the development of ecological, environmentally friendly textile fibers and jersey! There are not superlatives enough of telling you how exciting this is! Or what do you think? Would you like to own something that says “made in Nokia”? Negotiations are still going on.. But stay tuned and keep your thumps up, let’s hope this is possible in the near future!